Roasted pork does not have to be scary, difficult or unhealthy. 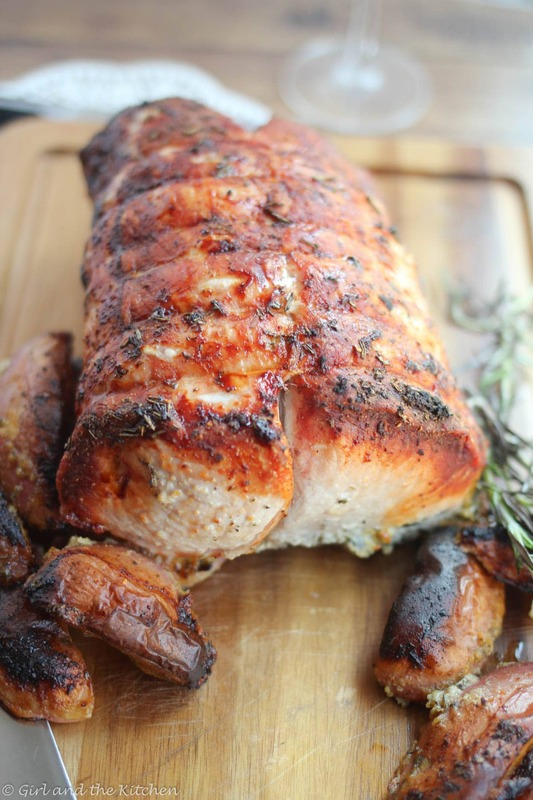 This super simple one pot garlic and herb pork roast uses a lean pork loin! 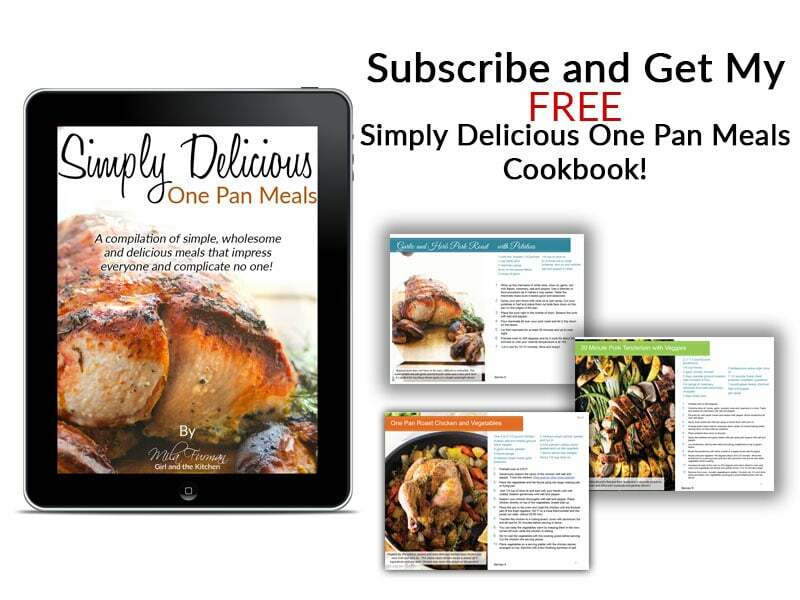 It’s perfect for any fancy dinner party or a simple weeknight dinner. I am a huge fan of roasts. All of you should be!!! Is there anything more beautiful than a gorgeous roast surrounded by aromatic herbs and vegetables? No. It is one of life’s greatest pleasures. And I feel we all need to know how to properly cook a roast. Because in all fairness…it’s stupid easy. I make pork roasts several times a month, mostly because it is brainless, simple and tasty…unless it’s dry…dry roasts are the absolute worst. And they can happen to anyone. Present company included. Bad roasts are evil, stringy and unforgettable. I am willing to bet that those of you who never went back to making roasts, probably had one of these severely off-putting and slightly devastating experiences with their roast. But there is a weapon against this evil. And it’s a food thermometer. I mentioned in my 51 Ultimate Kitchen Hacks , that the food thermometer was one of the tricks that chef’s use to control their meats and pin point their accuracy. It’s true. We are not psychic. With a piece of a large roast you need a thermometer to be able to gauge the right temperature to remove your meat. There are a few tricks to cooking a good roast. One of them lies in the fact that you HAVE to remove your meat several degrees before doneness. WHAT?!? You mean you are removing raw meat out of the oven? Ok…settle down. Here is how this works, it’s science and unlike Pinocchio, science does’t lie. 1. Anything that is cooking will have a carryover process. That means that the heat that has been trapped inside the food will continue cooking it AFTER it is off the heat. This is the same reason that you shock green veggies in ice water after you cook them…to STOP the cooking process. <—— That’s another tip for you… when cooking green veggies or any veggies for that matter… after they are cooked dump them immediately into ice water…they will stay bright green for you! 2. When you are cooking a hunk of meat, like our pork roast for instance, that is about 5-6 pounds…there is A LOT of residual heat left in there. So if the FDA says that the safe temperature to consume pork is at 165-degrees Fahrenheit (which I think = dry meat) then for a roast this big I would remove it at 150-degrees Fahrenheit. That carry over heat will cook the roast to the perfect temperature. 3. HOWEVER this is a pork LOIN AKA= very lean. So you do not have much fat to keep it nice and juicy. Therefore removing it at the right temperature is crucial. I personally like my pork’s final destination between 150-155, sometimes 145. So I take my pork loin’s out at 135-140. 4. Once you remove your meat you can slice right? NO!!! Cover it loosely with a foil tent and let it rest for 10-15 minutes. Why? Well when meat cooks all the juices flow into the center. Yay juices! If you cut into it right away…all those juices flow out of your meat and with them goes your flavor and moisture 🙁 When the meat rests, those juices find their way back to their designated homes and leave your meat perfectly moist and wonderfully tasty. Think of the difference of a good steak in a restaurant? A good steak will look moist and juicy but not have the juices running out of it. That’s one of the ways I judge whether a chef is good or not. Even a 6 oz steak or chicken breast needs to rest for just 3-5 minutes or so those juices can disperse evenly and not pool up on your plate. 5. Where you measure is very important as well. Your thermometer goes right smack in the middle of the roast. Not too deep in so that it hits the bottom of the pan. My favorite thermometers are those that you can just leave in the roast as it cooks. This thermometer has that capability so it makes like a lot easier! Feel a little better about your pork roast now? Good! We are moving on! C. They all cook in the same juices as the meat. And all that flavor permeates them until they are utter perfection. A few weeks back I was at my in laws house and my MIL was making a roast chicken. She went to go take a shower and I said I would keep an eye on everything in the oven. I removed the chicken and noticed there were a few potatoes around it. By a few I mean 8, cut in half. So 16 little pieces. I was starving and picked up a piece to taste it. “OH MY GOD”, I exclaimed. This is ridiculously good. I kept eating them. They were sweet, crispy, juicy and tender. I couldn’t stop. I needed my fix. Before I knew it…there were none left. I turned to look at her, head hung in shame, “I ate them.” She started laughing. “Good, maybe you can finally put some weight on.” I apparently am too skinny. At least someone thinks I’m thin. ANYHOW. As incredible as this roast is. For me the potatoes shine even more so. YUM. I made this in a foil pan. One pan. No clean-up. YES! That sounds like a plan. Want to see how quickly we can do this? 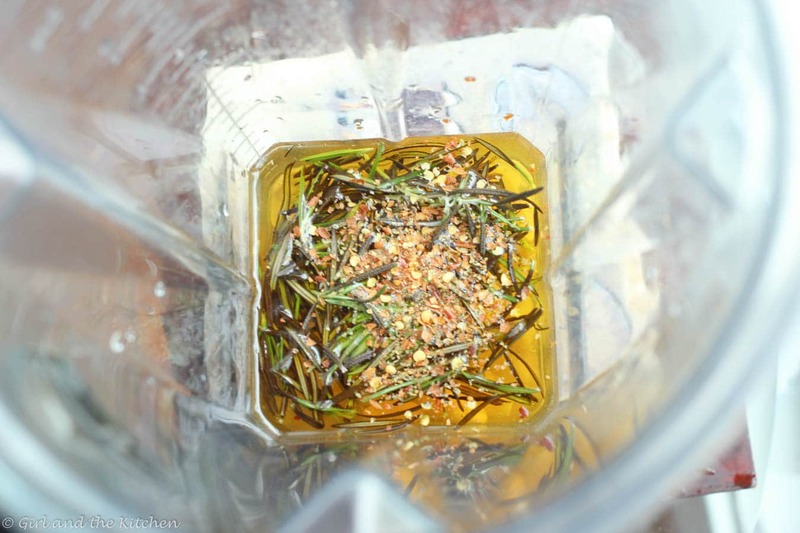 Whip up a marinade of white wine, olive oil, garlic, red chili flakes, rosemary, salt and pepper. Taste the marinade make sure it tastes good and seasoned. Spray your pan down with olive oil or pan spray. Cut your potatoes in half and place them cut side face down on the pan on the edges of the pan. Place the pork right in the middle of them. 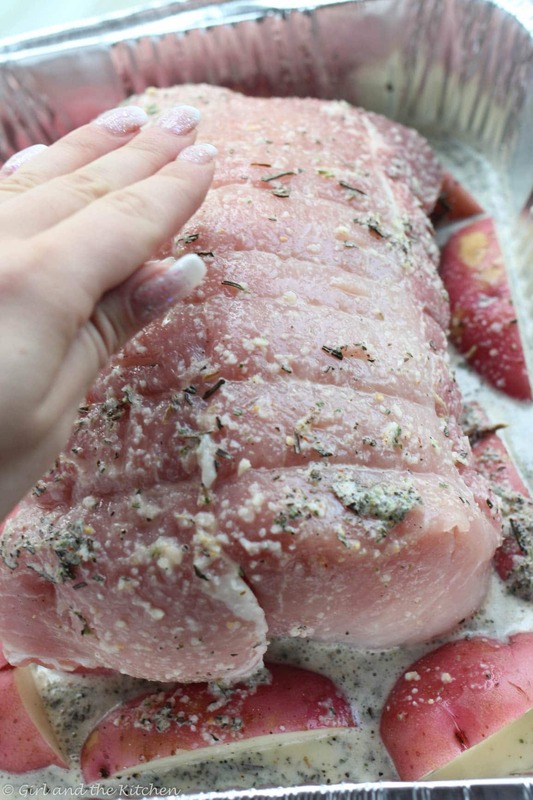 Season your pork with salt and pepper. Pour marinade all over your pork roast and let it drip down on the taters. 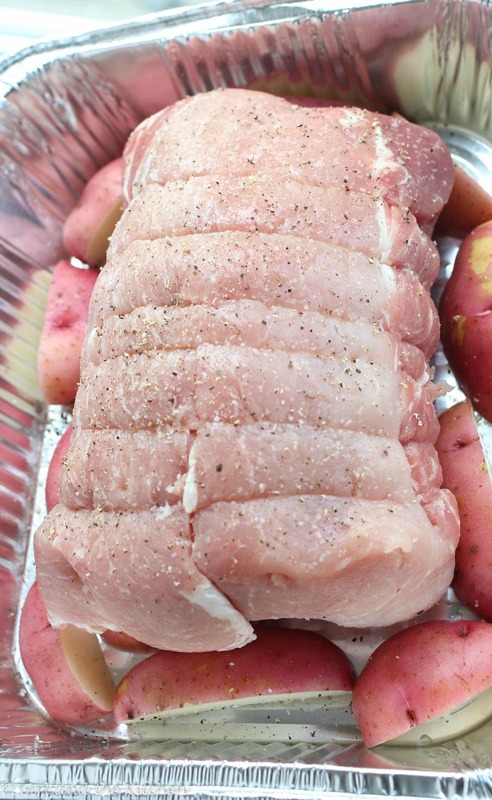 Oh by the way…see how my pork roast is trussed? I bought it that way. Your butcher will do that for you if you ask nicely. Let that marinade for at least 30 minutes and up to over night. Preheat oven to 400 degrees and let it cook for about 30-40 minutes or until your internal temperature is at 145. Let it rest for 10-15 minutes. Slice and enjoy! Look at that crispy skin. Heaven. 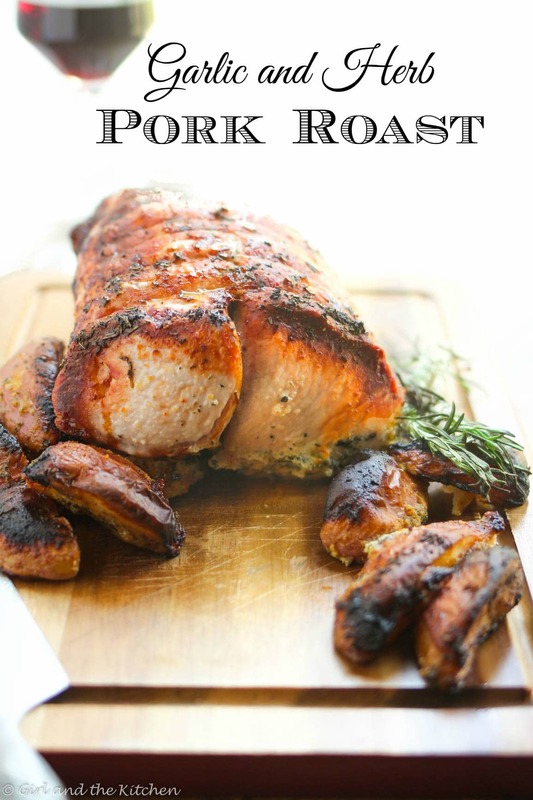 Roasted pork does not have to be scary, difficult or unhealthy. 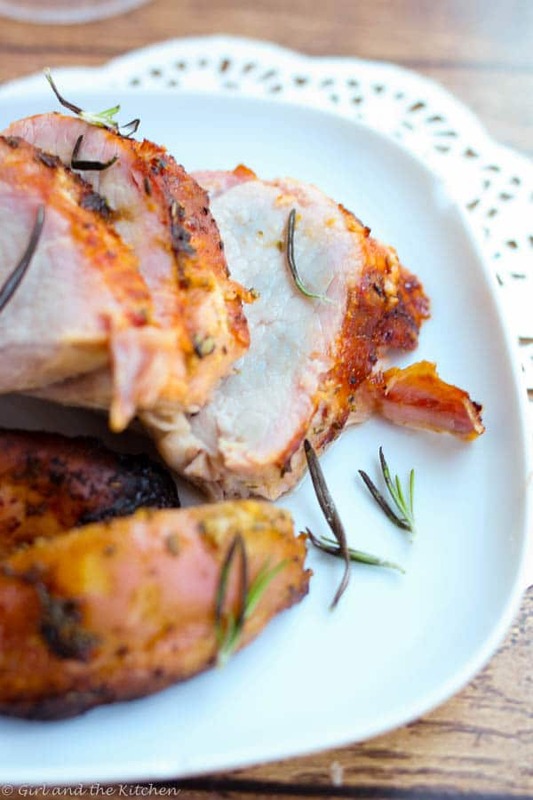 This super simple one pot garlic and herb pork roast uses a lean pork loin! 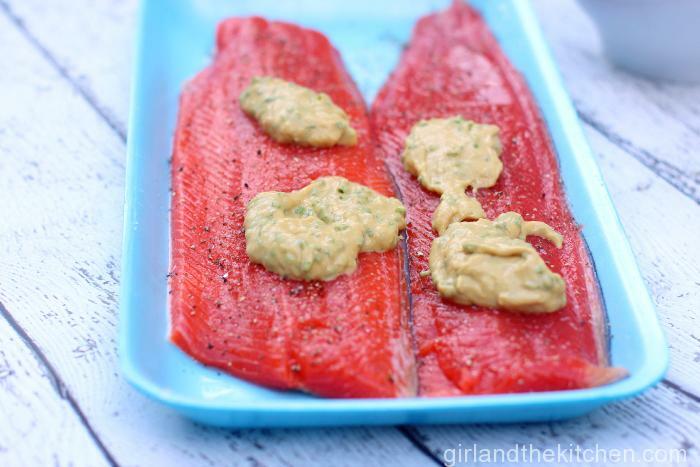 It's perfect for any fancy dinner party or a simple weeknight dinner. Whip up the marinade of white wine, olive oil, garlic, red chili flakes, rosemary, salt and pepper. 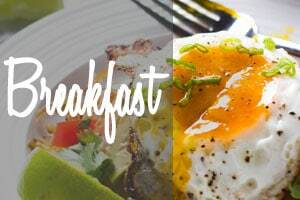 Use a blender or food processor as it makes it way easier. Taste the marinade make sure it tastes good and seasoned. Spray your pan down with olive oil or pan spray. Cut your potatoes in quarters and place them cut side face down on the pan on the edges of the pan. Place the pork right in the middle of them. Season the pork with salt and pepper. 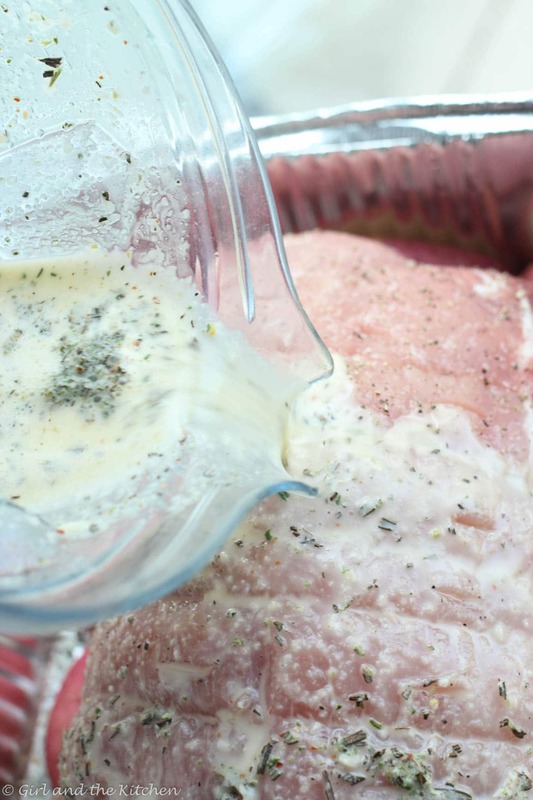 Pour marinade all over your pork roast and let it drip down on the taters. Oh by the way...see how my pork roast is trussed? I bought it that way. Your butcher will do that for you if you ask nicely. 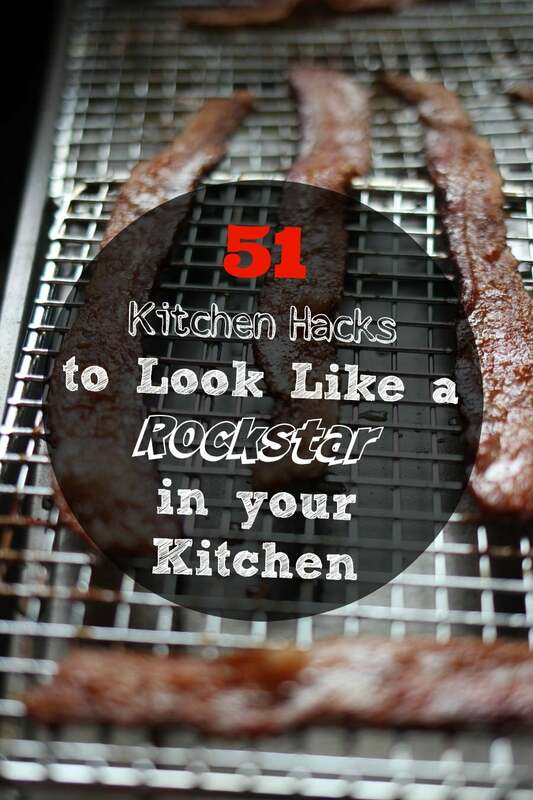 Preheat oven to 400 degrees and let it cook for about 30-40 minutes or until your internal temperature is at 145. Let it rest for 10-15 minutes. Slice and enjoy! If you like this make sure you check out this other DELICIOUS One Pan Oven Roasted Tenderloin with Veggies! 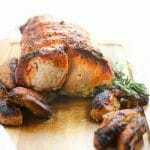 An incredibly flavorful Roasted Pork Tenderloin is absurdly simple to make and filled with mustardy and garlicky flavors! The best part is all the glorious juices from the pork act as a sauce for the veggies creating one uber flavorful one pan meal! Plus learn the ultimate trick to getting a gorgeously browned tenderloin in only 30 minutes! I’m not sure it gets better than perfectly roasted pork with rosemary. This looks like a perfect Sunday dinner. 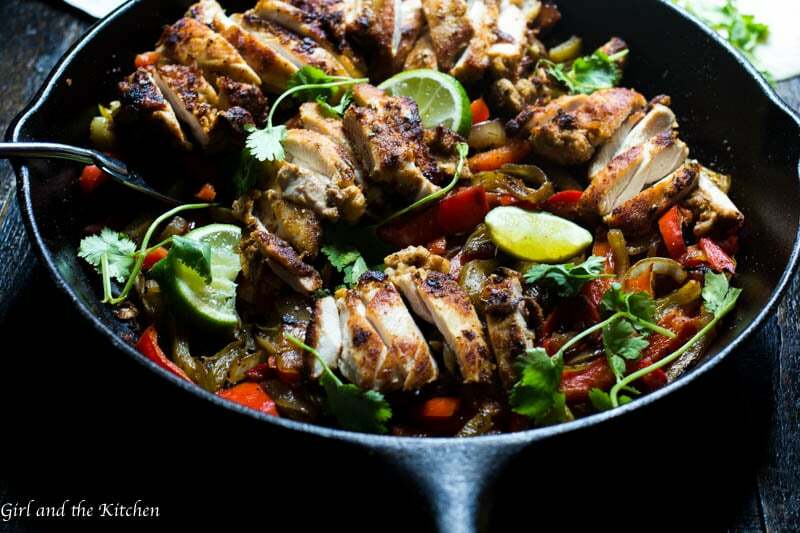 Quick question…do you leave all the marinade in the pan while cooking? Good job Nagi!!! 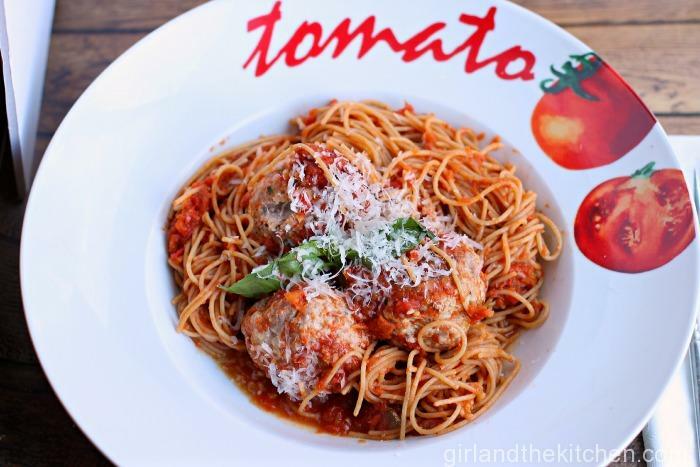 And I knew you would cuz um you are awesome in the kitchen… Your blog does the bragging for you darling. Gorgeous roast!! I definitely agree…I always bring the roasts out of the oven a few degrees or minutes than the temperature since I know it goes up a few degrees as it sits. I’d rather take it out early and have to cook if a few more minutes if need than have a dry hunk of meat! That pork is so beautifully cooked – juicy and delicious. I must make one of those this week. I look forward to using your marinade. Looks yummy… going to try it tonight! Why do you need to have the pork loin trussed? Or are you actually using a pork tenderloin? Thanks… on my way to truss my roast and cook tonight! You didn’t indicate how much rep chili peppers to use so I’m going to start with 1/4 tsp. Hi Debby! I purposely didn’t write it in because it’s always a preference 🙂 I think a 1-4 tsp is perfect! Do you cover it while cooking? Hi, this roast looks amazing…about how many people does it feed?? Hi Keri! It will feed about 6 people. It ends up cooking a bit more evenly. But no biggie if you don’t 🙂 Please let me know how it goes. ok I used 8 cloves of garlic and my whole house smells of it. My eyes are burning! I hope it turns out okay. I also just lowered the temp to 350. Dina sorry I was on a flight when I got this!!! How did it turn out? Has anyone had an issue with the timing of this roast? I have a 5.49lb loin roast that’s been in the oven for an hour and is no where near done. But it smells SO good. It may be the calibration on the oven. Additionally, if your oven is not convection then this may be the reason. Convection tends to cook about 30% faster. so did you roast yours in a convection oven? I’ll be roasting it tomorrow! Yes I did! But that’s why the thermometer is so important because then it really does not matter which kind of oven you use since you are going by temperature doneness. Can I use a red wine instead? It’s ok to marinate the potatoes with the pork overnight? Would it be ok to use a pork roast? And could this be cooked in a crock pot? Hi Kristen. By pork roast which cut are you referring to? You will get a much different result in a crockpot than you would roasting it. The crock-pot would instead braise it and not give it this gorgeous color and texture. The result would be entirely different because you are doing a different cooking method. Thank you for your response! I have a pork sirloin tip roast in my freezer that I’d like to use. No problem! Just make sure you use the thermometer! That will be your saving grace 🙂 Please let me know how it turns out for you! Any suggestion on what white wine to use? And if I can’t get a hold of your suggestion, would something like Holland House white cooking wine do the trick? I live in MN and the state does not allow alcohol sales on Sundays – and unfortunately, I have nothing else available on hand. Hi Carolyn, my apologies I was unable to get my messages until today. Any wine is good! I hope it worked out well for you! how long would I cook a 12 pound roast? Making it in a regular oven and want everything done in time for our holiday dinner for 10 people. Hi there…the usual standard is 25 minutes per pound. HOWEVER…this is why I use the thermometer, because it is a whole lot more precise than just guessing the time with a roast of that size. Normally I would drain the marinade off before roasting, but the directions did not indicate to do so. Should I roast it with the extra liquid of the marinade in the roasting pan? I am one of those people who has had horrible results when I cook roasts. I was going to try again and found your recipe. I usually skip blogs and go straight to the recipe. I am glad I didn’t do that this time. Following your instructions we had a delicious, tender, juicy pork loin tonight. Thank you for taking time to explain how to do it. I have been cooking for a lot of years ( I have been married almost 46 years) and always have just said, “I can’t cook big hunks of meat.” Now I am excited that I can learn to cook meat. Leah! This is the best comment I have ever received! Thank you so much for your kind words! 46 years of cooking and and you leave me a comment like this?? I am truly humbled and honored. THANK YOU! I am so glad you got all that out of my post! I hope you come back and visit soon! Have a terrific weekend! Hi Brandon, mine did not have too much fat…but if yours does, definitely roast fat side UP. Hi! If I didn’t want to use the wine in the marinade, what would you recommend? You could also use cooking wine, although it does tend to have a lot of sugar. Otherwise I would just leave it out if you are against using alcohol. You can add some acidity as well like apple cider vinegar as well. I used cooking wine as I don’t have wine in the house. I only used about 1/2 a cup and it turned out delicious. Do you think I could use a tenderloin with the same results? Hi Amanda! You absolutely can, HOWEVER it will cook significantly faster so make sure you use a thermometer to watch the temperature so it does not over cook. Also, this most likely means your potatoes will take a bit longer to cook. But I imagine everything is still going to be just as delicious! I made this tonight and it was fantastic, even though I used dried rosemary. (It was raining too hard for me to go out and get fresh) Mine did not brown as nicely as yours and all the liquid cooked away and burned on the bottom of the pan. What did I do wrong? I didn’t have potatoes so just cooked a roast that couldn’t stay in the refrigerator another day. You know you may have not done anything wrong! Sometimes are ovens are all just calibrated a bit differently. So 450 degrees for you may really be about 375 or so if the oven isn’t calibrated correctly 🙂 Next time just keep adding in a bit more liquid…sometimes it evaporates quicker and I do the exact same thing 🙂 Also the potatoes really are the delicious part of this recipe 🙂 Can’t wait for you to try it out next time! So you’re ingredients list doesn’t say red pepper flakes but the recipe adds them, which is correct? Hi Alex! It is with the red pepper flakes!!! I reloaded the recipe so it should now reflect the red pepper flakes. I kinda have mixed reviews on this recipe. I am also not too familiar with roasts as they scare me a little. I made it for dinner two nights ago. We cooked with a almost 6 lb boneless pork loin roast. Our butcher said it did not need to be trussed because it was boneless, so I am not sure if that makes a big difference or not. Your instructions said 400 degrees for 30-40 minutes. I believe we had to cook it for almost 2 hours for it to be at that right temperature. Also, the potatoes were not fully cooked after an hour of cooking. I did follow all of your instructions and marinated it for an hour. Mine also did not brown as nicely as yours, but reading your comments I see my mistake of cooking it fat side down. 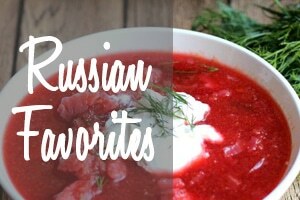 I did really love the flavors of the whole dish and would love to try it again. Any tips to help me for next time? Hi Carrie! Gee I am so sorry you did not enjoy this as much as you had hoped. Everything in your comments leads me to believe that A. your oven may NOT be a convection which would certainly alter the flavor. B. Your oven may not be calibrated correctly. Meaning the oven may SAY it is at 375 degrees but in reality it is only at 300 degrees. This would certainly tremendously effect the outcome…including the browning and the length of time that the roast cooked. And yes absolutely cooking fat side up is really important. Next time if it doesn’t brown correctly just CRANK up the broiler and it will brown up for you. Or throw it in a screaming hot pan with a tad of oil to give it a quick sear and off you go!!! I do hope you try it again! It has done so well on the site! If you need any more help or any tips feel free to let me know! If my pork loin is onyl about 2.5 lbs should I cut the maranade recipe in half?! Yup definitely 🙂 let me know how it turns out Dani! Silly question; the picture looks like two smaller loins that have been tied together, vs a pork loin roast. I have a 5lb loin that I got from Costco that is LONG…Can I cut it in half and then truss together to get this shape? You are a darling! Thank you! Awwww Thank you Candace!!!!! Stay tuned because this baby will be the star of the show on my Christmas Dinner Plan post! Thats a nice piece of meat! Yum!!! Hahahah thanks Raymond 🙂 Have a wonderful holiday! Looking forward to making this roast for a family dinner tomorrow night! Did you put the meat on a rack before roasting? Also, I am making this for 10-12 people. Would it be better to cook two smaller roasts (4-5 lbs each) side by side, or one bigger piece of meat? One last question, my oven has a convection setting, but I have never used it and not sure I should experiment for the first time with company. How would you adjust the cooking temp and time for a regular oven? Thanks so much for helping me out! Hi MaryEllen! No I did not put it on a roasting rack, I placed it straight into the foil pan. I would do 2 roasts in 1 large foil pan. Just make sure it has room to groove because you do not want the sides straight up against the sides of the pan because then they will not brown up nicely for you. Here is my thing… if you use a meat probe you do not need to worry about a thing. I personally ALWAYS cook convection. No matter what. In fact once you go convection you will never go back. 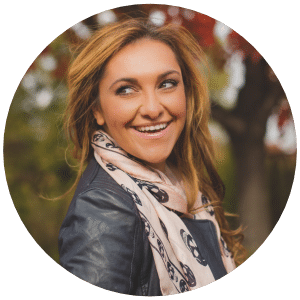 Most importantly…use that meat thermometer! That will really save you. It will not matter how hot or how high your oven is because the meat thermometer will help guide you. If you are concerned, just roast a chicken in there before the guests arrive 🙂 Like tonight grab a chicken and roast it on convection. You will be amazed at how beautiful and quick it cooks up. Happy holidays! And please feel free to contact me with any other questions! This was delicious? Just made it tonight., I had a smaller pork loin so I halved the wine but kept everything else the same. It was a hit.the potatoes were wonderful. Heather! Thank you so much for commenting! So glad it worked out! Happy New Year! I have a question or rather a concern. Will my meat be baked after 40 minutes? Hello! This recipe looks delicious and I’m anxious to try it, however I am pregnant and worried about the wine combined with the relatively short baking time (not much time for the alcohol to cook out!). What would you suggest I use as a substitute for the wine? Or should I just wait until the baby is born so I can experience the dish in its full amount of splendor? lol. Hi I had a 2 1/2 pounder. It was ok, cooked through but still a little tough. How long should this have cooked? I think I’ll try 1 more time. Hi Lorena, at what temperature did you remove it? The thermometer really is the most important tool to ensuring a tender and juicy roast. As far as time wise…it’s hard to say because there are SO many different factors that can effect the roasting time…ie your oven strength etc. If you follow a thermometer you will most definitely have a perfect result every time! Let me know how else I can help! 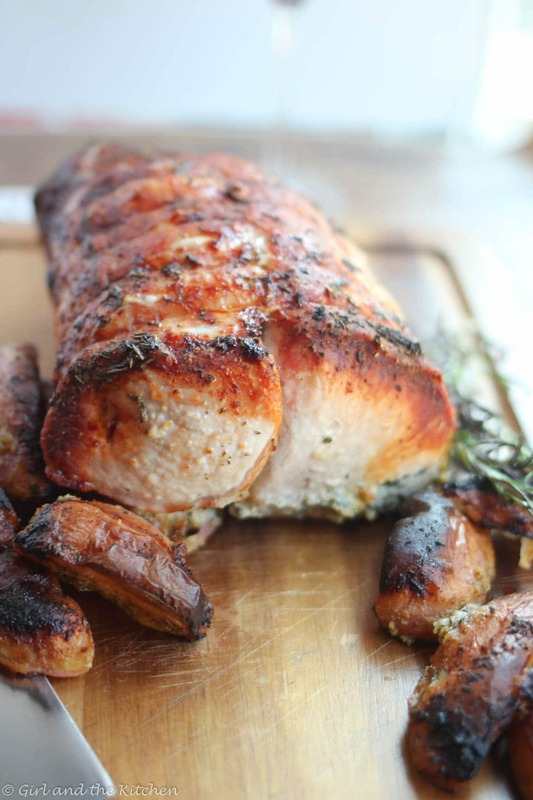 Can you use this method with a pork tenderloin? How much would you adjust the cooking time? So it really depends on the size. In a convection oven the little ones will take no longer than 30 minutes even that is pushing it. Your best bet is to ALWAYS use a thermometer that way you will always know the exact temperature! Made for my daughters birthday last night! Loved it! Marinaded it the night before and just popped it into the oven on the day of. Took more than an hour in my oven to reach temp but it was perfect because it sat out resting for 45 min and was still hot and juicy inside when we cut into it. Easy peasy. 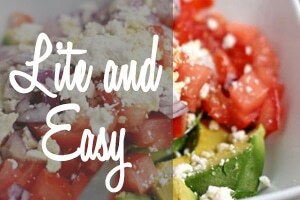 I served it with pasta primavera and a green salad for a perfect spring meal. Thank you! Beautiful!!!!! It’s seriously one of my favorite things to make for company! If you want my opinion… i would not do this particular cut of meat for that many ppl. The possibility of it drying out is way too high. Girl, you nailed it! I’ve been cooking for my family for 35 years and love finding new recipes. My kids didn’t grow up on fast food and spaghetti kits. In turn, they have come to enjoy cooking as much as I do. I can’t wait to share this gem with everyone! OMG thank you so much!!! And what an incredible mom you are that you instilled incredible eating habits and cooking habits into your kids! You should be proud of the incredible job you have done!!!! Hi!!!!! The standard is usually 20-25 minutes per pound. But the probe will be your bff!!!!! Merry Christmas! When I asked the butcher to truss my pork, he looked at me like I was crazy. He says it’s not in pieces and you’re not stuffing it cause it’s thick. I don’t understand what you want me to do is what he said. So can you explain to me what your butcher did for you? Sure. They trussed it. All the butchers have done it for me. I have a pork roast with the bone in (pork loin rib end roast) French rack. 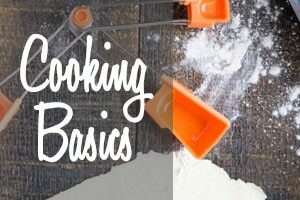 What should I change about the way I follow your recipe? Thanks!